When I see ladies wearing overalls, I automatically start thinking of farmers. But thanks to the latest styles offered by modern brands we don't have to worry about looking weird in this staple. 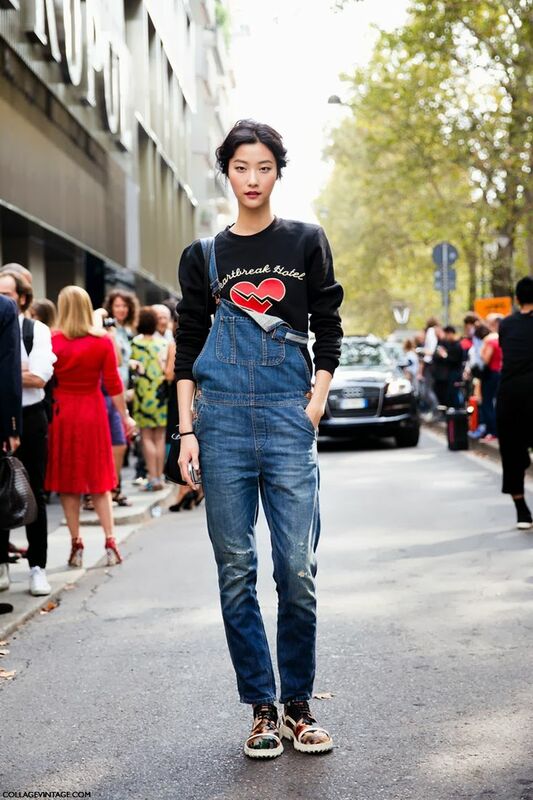 This summer season many women tend to wear cool-hipster looks, bohemian clothes and retro inspired workwear by implementing overalls into their new looks. That means one thing- they are back in trend. The following collection consists of awesome denim or leather-look combination ideas which can be worn in the streets and casual parties. 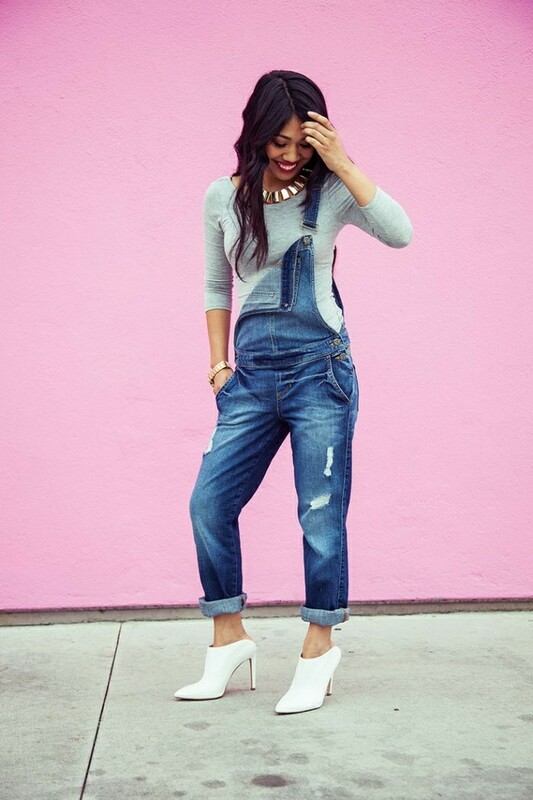 So, what are the main differences in choosing trendy overalls this year? Keep your eyes on fashion forward designs with slim-fit fits and fitted cuts. It looks like shortened versions are still in vogue, though you should forget about boyfriends styles, yet if only you wear them cuffed. Speaking of shoes, then you can choose pretty much of everything, starting from sneakers to sandals and heels. If you would like to know what kind of tops are in with overalls, then I suggest you to try on striped tops, sheer blouses, crop tops, bodysuits, as well as cashmere/mohair sweaters during chilly days. My personal favorite is the overall that is ideal for wearing without anything underneath. I advice you to take a look at some of the best street style shots that have been snapped this year. Black leather design is great for wearing with white crop tops and black leather slip-ons with white soles. Keep it sporty by wearing a white baseball cap, white top with sheer sleeves, blue denim and summery flats. Finish the look by adding polka dotted shirt and awesome lace-up slip-ons. I love when ladies look fun but still sweet. Keep it urban and chic. Try on white ones and finish the look by adding classic black pointed-toe pumps, light grey T-shirt, aviator sunglasses and cool, knitted grey beanie. You can play with countryside style by wearing a baseball hat, cozy, baggy cardigan, heeled booties and shorts overalls. The cuffed and ripped style looks incredibly hot with cropped top. Update this look by adding feminine heeled sandals, white spacious handbag and retro style wayfarers. SO, what you are thinking about this stunning staple? Is it worth spending money on it or is it better to wear denim jacket and cool shorts?